Gentle Dental Family Care (Kew Gardens) - Book Appointment Online! Gentle Dental Family Care was founded on the concept of providing convenient and affordable dental care for the entire family. We offer modern, concierge dentistry services from expertly trained dental specialists and general dentists. Whether you are seeking a general cleaning and check-up, cosmetic treatments such as porcelain veneers, or a restorative procedure like a dental bridge, our caring doctors can help you achieve a beautiful, healthy smile. Emergency Dentistry for Urgent Dental Care When you are suffering from an emergency dental situation, such as a broken tooth, chipped tooth, or infected tooth, you may require immediate dental care. At Gentle Dental Family Care, we are committed to providing convenient dental care for our patients. 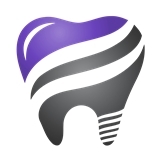 Giving you access to immediate, high-quality dental care when you need it most. Her staff members are very kind and attentive, they all sat and explained in detail what should be done and how we could all come up with a plan that benefits me and are willing to work with me not many dentists go with her approach a lot of them are so focused on the money they forget about the relationship with the patient. She just gained a new one! !